“In my workshop, you will make a new book out of an old book that you would have thrown away. In the book I want you to create your own wish for the world. You can paint, cut or make collage in it. I wonder what "the world" means to you. 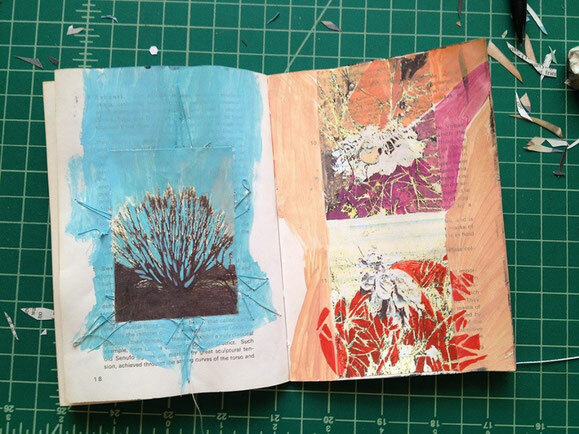 I am looking forward to learning what your wish for a better world is and seeing what beautiful altered books you create.” The altered book made in Shanti’s workshop will be exhibited in the show held from October 11th to 13th.